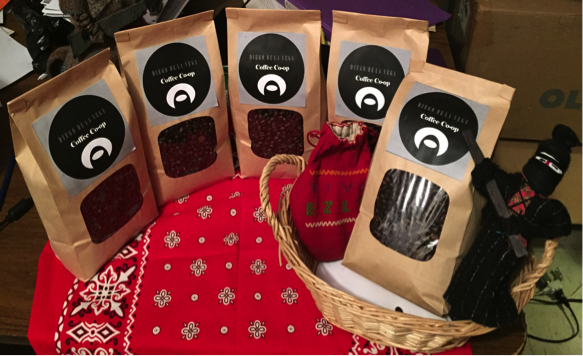 The Diego de la Vega Coffee Co-op is a project developed by Fran Ilich that offers organic coffee sourced locally in Chiapas, Mexico, from Zapatista autonomous farms. Its goal is to connect social movements and geographical regions – Chiapas and New York City – and to create a horizontal financial flow between social movements. A cup of coffee can be traded for any alternative currency, barter, or time deposits (as well as voluntary money donations). 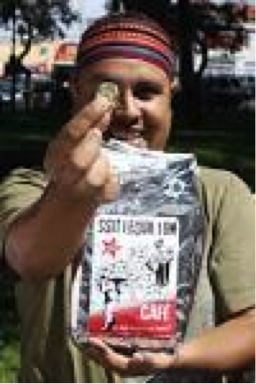 Proceeds are used to buy more coffee from the autonomous Zapatista Municipalities. Coffee is the second most traded raw material in the world. The project uses this mass to create a sustainable economy that funds the reconstruction of the Zapatista autonomy from Mexican state. Allows continuous economic growth to indigenous population of Chiapas. Politics, global trade, coffee drinkers.